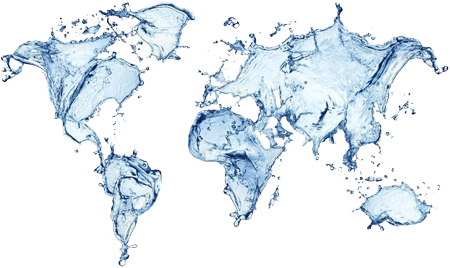 Ferrarelle SpA., the leading Italian group in the mineral water sector, has entrusted A DUE SpA. 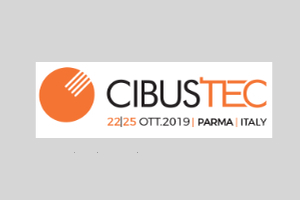 with the supply of the functional water preparation plant for the aseptic PET line at the Darfo Boario Terme (BS) factory. 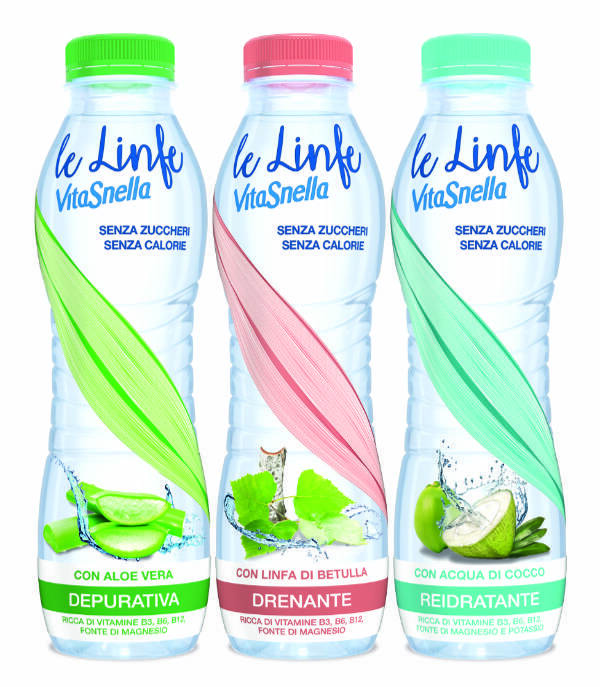 The plant with the capacity of 18,000 bottles per hour automatically manages all the production phases of the new functional waters Linfe Vitasnella, that combine the lightness of Vitasnella mineral water with the purifying qualities of aloe vera, the draining properties of birch sap and the hydrating benefits of coconut water. A line of products that combines functionality and lightness, designed for those who pay a great deal of attention to their all-round health and that reflects the most profound importance given to quality and innovation by the Ferrarelle SpA group. 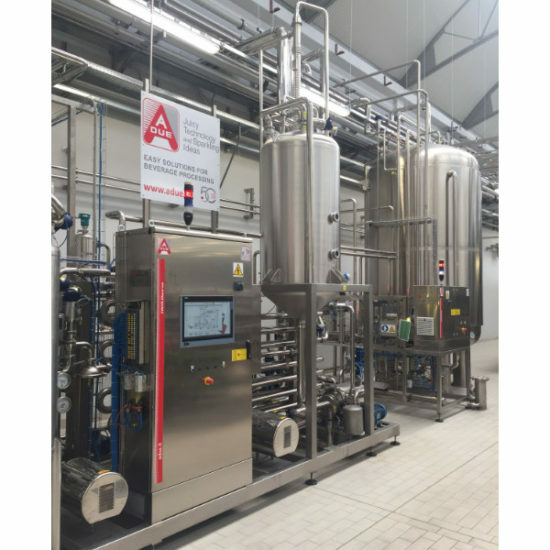 A DUE SpA, working in close collaboration with the Ferrarelle staff, took care of the design, manufacturing, installation, start-up and testing of the plant. 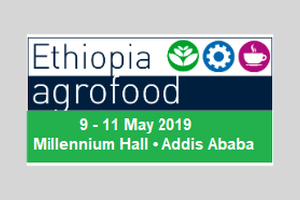 First of all, the ingredients supply and preparation have been tuned basing on the needs determined by the recipes, by the quantities of the individual ingredients (powder and liquids) and by the frequent flavour change-overs, with the aim to optimize their management in terms of logistic and at the same time to ensure minor waste and maximum dosing accuracy. The plant therefore consists of an EASY.Core unit which performs the dissolution of the powder ingredients (acidifying agents, functional salts, vitamins, etc. ), the preparation of the liquid ingredients (flavorings, juices, semi-finished products, extracts, etc. 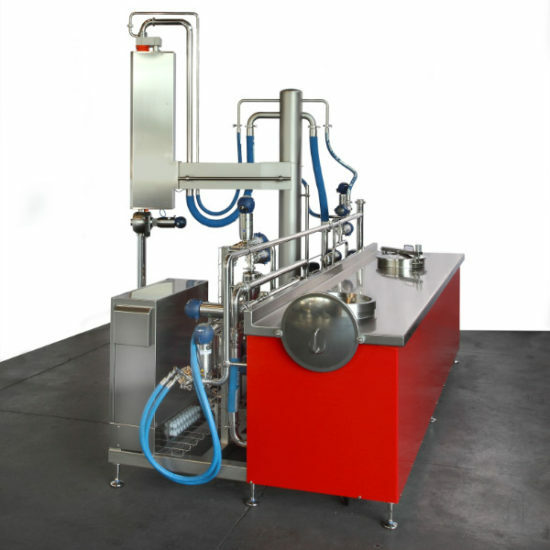 ), the controlled transfer of the concentrates and all the ingredients to the finished beverage preparation tanks; the plant is also complete of drum emptying station. 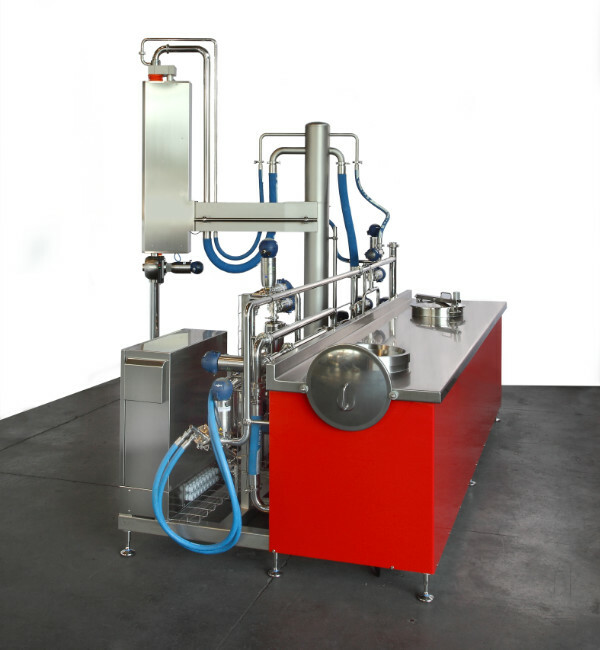 The drinks are sterilized by means of EASY.ThermA, plate type ASEPTIC PASTEURIZER, suitable for low and high acidity products treatment and complete of de-aerator with aroma recovery and integrated automatic CIP to perform the washing under sterile conditions. 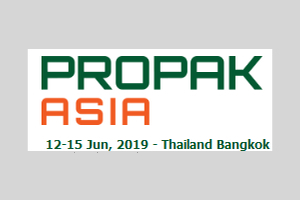 The aseptic tank EASY.ATK intended for the storage of the pasteurized product under aseptic conditions at room temperature, is equipped with steam-nitrogen panel and aseptic valve groups that make it independent in terms of CIP and SIP. 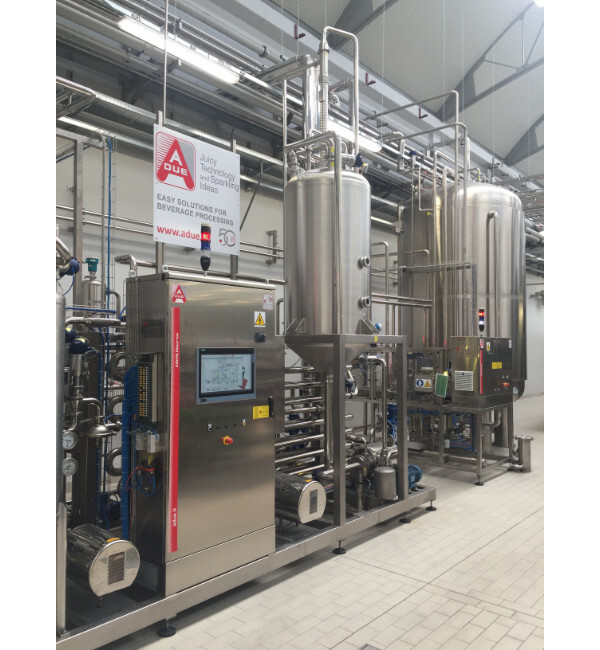 The plant is completed by a CIP EASY.Clean unit with 3 sections and 2 manifolds, for automatic sanitizing with recovery. The management and execution of recipes for the product batches preparation is completely automated thanks to the new SCADA EASY.Drive developed entirely by A DUE SpA, with all its functionalities: recipe storage, management of historical trends, log event, traceability of ingredients and products , maintenance module, etc.